Bed & Breakfast in Auckland is a more intimate alternative to hotels. Whether you opt for a small, friendly guesthouse, or a boutique home from home, you're guaranteed a warm welcome (and usually a huge breakfast) during your stay. 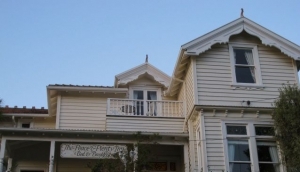 Auckland Bed & Breakfasts are usually family-run, personal affairs. Aucklanders take great pride in their homes, so it's no surprise to see more and more people opening up theirs to paying guests. You're more likely to find a good guesthouse in the suburbs, than the CBD. Outside the city centre, you'll find plenty of tree-lined streets with pretty, whiteboarded houses and perfectly manicured gardens. Around Mt Eden, Epsom and Parnell, there are some beautiful guesthouses, set in leafy, residential enclaves. Most will have ensuite bathrooms, but in some the facilities are shared, so do check on booking. Owner-operators are usually very knowledgeable about the area, and will be only too happy to make recommendations on great places to eat, drink and visit nearby. Jervois Road, in Saint Mary's Bay, has a good concentration of 'arty' guesthouses, while Devonport is another favourite area, with a great view of Auckland's skyline.